On this page you’ll find all the downloads available from my site that support my books, as well as books and other resources that would be useful for teachers of science. The Checkpoint Science series of books were written to support revision in preparation for all the strands of the Cambridge Primary Science curriculum: Biology, Chemistry, Physics and Scientific enquiry. It can be used independently for homework or additional practice, or alongside the Teacher’s Guide in the classroom. These videos discuss the books and how teachers can best make use of them in the classroom. Ways Into Science is a first science series that introduces young readers to basic science principles in a friendly and accessible way. I’m adding videos and resources over the coming months until eventually there will be one video for each book in the series with information sheets, quizzes and experiment sheets to accompany them. View the video and materials for Ways Into Science: What Animal Is It? Download and print these free scientific method posters to use around your classroom or laboratory. Download and print these free posters about critical thinking skills and create a way to use them with your children. The experiment report sheet can be printed and used by children to write up the results of their experiments. A brand new series for primary teachers that provides a full guide to teaching a primary curriculum area, especially for non-specialists. This book is closely tied to the new curriculum, with extracts from the curriculum itself and lesson plans and teaching ideas for every area. The teacher’s guide is divided into three chapters – Biology, Chemistry and Physics to match the Cambridge Primary Science Curriculum Framework. Each chapter contains teaching notes with revision activities and photocopiable pages to use with a scientific enquiry investigation. The resource books are matched to the revised Cambridge Secondary 1 Curriculum Framework for Science. Teachers Resource CDROMs for Biology Now! Chemistry Now! and Physics Now! These CDROMs provide the answers to the questions in the pupil’s book, practical activities and investigations with notes for teachers and technicians, photocopiable worksheets to support some activities, end of chapter tests with answers, two tests to be used as preparation for the end of course examinations. 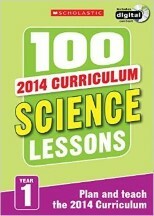 Each 100 Science Lessons book contains a whole year of inspirational ready-made lessons full matched to the new curriculum. It can be used as a complete teaching plan for the year or as a flexible filler. There is a CD-Rom packed with interactive activities and photocopiable resources for each book. 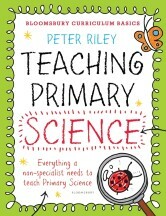 I was at an editorial meeting at Scholastic just after the 100 English and 100 Maths lessons books had been published and suggested that teachers might like 100 Science lessons. I was charged with the task of going home and devising such a series. I worked out a format and produced a list of 700 science lesson topics as the reception class was included in the curriculum in those days. The proposal was accepted, authors were commissioned and I stayed on a series editor and contributing author. I continued in this role for the second edition and this new edition for the 2014 National curriculum. All of my science books have activities in them. If the children are reading them at home they may like to try some. All the activities can be done with simple equipment and materials that are usually found in most homes or can be purchased locally. Your children may want a place to store their equipment of investigations or display their photographs or collections of rocks or pot plants. If there is space let them set up a laboratory. They could print off the posters about the scientific method from my site and stick them up around their lab to remind them of how to investigate. The lab will need shelves for display of equipment, a cork board for display of photographs, a table for carrying out the experiments, a drawer in which to keep the lab book where a record of each enquiry is made. As a child grows there is also cognitive development – the development of the ability to think and understand. Benjamin Bloom directed a research team whose work culminated in a book edited by Bloom, which became known as Blooms Taxonomy. In this book, cognitive development is examined as the acquiring of six intellectual competences, also more popularly known as critical thinking skills, which are arranged in a hierarchical order as follows starting with the lowest level skill. There are many ways and questioning words that can be used to test each skill. Here are just a few that you may like to use when testing thinking skills in science. 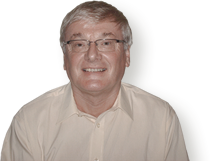 Compare …., Arrange in order…..
Science enquiries are the processes by which scientific discoveries are made. A hub is a centre of activity. Communication and a knowledge of our planet are vital for science. The aim of the Science Enquiry Hub on this site is to provide a centre which encourages children, students (and teachers) to make scientific enquiries and communicate them to others. In this way a database can be built up to be used by everyone to stimulate yet more scientific enquiry. There are four sections to the Hub. 1. The Natural World Photo Gallery. The aim of this section is to build up information about the natural world from where you live or have been on holiday so that everyone can see the diversity of life around the planet. The photographs are arranged month by month so in any month you can compare the activities of plants and animals in different parts of the planet. Many plants and animals have local names and in one country they may have several names depending on the region. To make the identification of living things easier for everyone around the world there is an international system of naming them. This can help children and students take their skills in sorting and classification to new and extremely scientifically relevant heights. In summary the Natural World photo gallery provides opportunities to develop skills in photography, in classification and in using a data base. The Curiosity Box idea is based on the curiosity cabinets that were set up in the seventeenth and eighteen th century and eventually led to the establishment of museums. This activity builds on children’s curiosity and tendency to collect objects that fascinate them while encouraging them to find out more about the objects they find. 3. The Scientific Method Posters. These eight posters show the steps in following the scientific method. They can be downloaded free of charge and used to help set up a science laboratory in your home and school. It is suggested that you secure them to the wall in a row around the area you have designated as a science area to make its boundary. They can be used by children at home working through experiments perhaps grounded in those of my books or can be used as a teaching aid in the classroom during science enquiry lessons. You may like to use these posters in conjunction with my books, below are the ages I recommend for the books and series I have written. You can find out more about each of them by clicking on the links. This gallery provides an opportunity to display science activities as a celebration of the different kinds of science enquiry that can be carried out at home or in school. Photographs of experiments, models and wall displays can be submitted and I will add a note to each one to show how it can be categorized into the different areas of practical science. This is an expansion of part of my workshop and curriculum theatre presentations at the Education Show at the NEC Birmingham in March 2014. 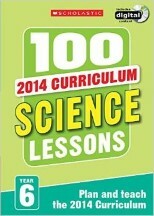 You may find some useful information when planning a science curriculum for school, home learning or a science club. Every science curriculum must have the aim of helping the students become adults who are scientifically literate. This means that they understand the way that scientists work, have a wide general knowledge of the areas of science, are able to understand a scientific topic in the media in adult life and use it as a basis for making rational decisions about an issue related to the uses and implications of science. Scientific literacy shows itself in the way a person uses their knowledge of science facts and processes to understand items in the news with a scientific basis – such as climate change and health issues – and to be able evaluate the items, react thoughtfully and draw conclusions from them. Using scientific literacy skills enables a person to make informed judgments on these issues and use them when taking part in local or national decisions which may affect society or the environment. A simple way of thinking about looking for signs of scientific literacy is to see if the child can see how the accumulated data from large numbers of scientific enquiries (using the scientific method) leads to the developments of theories and laws. Scientific laws are the most secure item of knowledge such as the laws of gravity that have stood the test of time against enquiries which might have disproved them. Scientific theories are less secure but often held in the same regard as laws. The theory of relativity and the theory of evolution are examples or major theories but other theories are built up from the results of a series of more recent enquiries which some skeptical scientists still challenge. The theory of climate change is an example. If a theory is found by subsequent enquiries to be insecure it is rejected and replaced with another. It is at this level of recent enquiries producing theories on which people are encouraged to act such as climate change or health issues that scientific literacy in the population is important. If research sweeps away a theory and replaces it with another a paradigm shift is said to take place. A paradigm is a way in which people (including scientists) think about something or the way it happens. From history one of the greatest paradigm shifts was from thinking about the Earth as the centre of the universe with everything in space (including the Sun) moving round it to the Earth moving around the Sun with other objects in the Solar System. There could be paradigm shifts in our children’s lifetime. Perhaps one might be our concept of life (based obviously on our observations on Earth) when further explorations of the Solar system and exoplanets around other stars are made. Although the majority of the students probably will not follow a career in science they will need to be trained in the scientific method to understand how discoveries are made and how the reliability of the data is assessed. This will give them insight into science-based issues presented in the media on which they must make rational decisions about their future. With this in mind the concept of the ‘Signs of a scientist’ may be useful in curriculum planning to make every one in school a ‘junior scientist’. The following is based on ideas by Carl Sagan the cosmologist and filled out by me to apply to any science curriculum. Scientists are observant, curious, imaginative and creative. The children enter primary school displaying these attributes and the curriculum must foster their continued development. Scientists are disciplined in their work. They follow the scientific method in their work and the curriculum must introduce the students to this and make them proficient in its stages. Scientists can analyse the data they collect and the data provided by others. The curriculum must be designed to provide many opportunities to carry out scientific enquiries. By becoming familiar with investigative processes and their own data collection the skill of analysis will develop. There must be a focus on the purpose of the investigation and how the data relates to the purpose. Once they are competent at analyzing their own data they could examine the data of others and analyse it. Scientists can construct rational explanations from their data. Students can build up this skill by explaining what the data means. Scientists draw conclusions. By considering the purpose of the investigation and the explanation of the data they can draw a conclusion about their findings and the suitability of the investigative procedure to the task. Scientists are skeptical of their work and that of others. Students may develop this skill through the study of anomalous results which they may record in their own investigations or presented in the investigations of others. They should aim to reduce their skepticism by the repeating of investigations a number of times they think appropriate. In the past great emphasis has been placed on fair testing which may have given the impression that this was the only way to make a scientific enquiry. Today five lines of scientific enquiry are to be built into the curriculum. All have been used before but their importance as not usually been recognized as equal to that of fair testing. At the beginning of any scientific study the items to be investigated must be identified. This is done by grouping and classifying. Here are some examples of this line of enquiry: dividing up materials on their properties, plants and animals on their structures. Rocks on their appearance and other properties, forces into pushes and pulls, objects into luminous (light sources) and non luminous objects, organs of the body into systems. Once the items to be investigated have been identified the student can then move onto other lines of enquiry. In this there is no comparison to be made just simple observation and recording over a period of time from minutes to up to a year or more. Here are some examples of this line of enquiry: the drying up of a puddle, the changes in the features of the weather (temperature, wind speed, wind direction, rainfall), growth of a plant or animal, changes in the setting of milk plastic. 1. Identifying all the factors that could affect the change you are to observe. These factors and the change are also known as variables. 2. Constructing a controlled experiment in which all the factors except one are controlled (kept the same) while one factor is varied and the change is observed and recorded over time. The controlled factors are known as controlled variables, the factor that is varied is called the independent variable and the change that takes place due to it is called the dependent variable. A study of plant growth provides an example. Plant growth can be affected by temperature, nature of the soil, amount of water. To investigate the effect of temperature on plant growth, two sets of germinated seeds are set up in the same kind of soil and are given the same amount of water (the controlled variables are then taken care of). One pot is placed in a cool place and the other in a warm place (Temperature the independent variable is being investigated), the growth of the seedlings is measured every day (the dependent variable). When graphs are drawn the independent variable is on the horizontal x axis and the dependent variable is on the vertical y axis. This line of enquiry involves comparing one set of observations with another to see if there is a relationship between them. It could be an investigation into leg length and stride length, the amount of exercise and pulse rate, size of parachute and speed of descent, the temperature and wind direction, the temperature/cloud cover. The length of stem and the length of the length of leaves. While science enquires are a form of research the term researching here refers to using secondary sources to find answers. There are four stages in this process. 1. Planning. This involves selecting an area to research. This may be from a general interest or to support findings from more practical enquiries. In either case the planning needs to begin by asking question to focus the direction of the research. For example What kind of bird is that? Why do moving objects slow down when you stop pushing them? 2. Finding resources. These can be books or internet sites. Several should be used to confirm the facts. For example a few bird books could be examined to compare the illustrations and the habitat or migration movements of the bird. The phonetic descriptions of its calls in the book can be compared with bird calls at sites on the internet. 3. Analysing the results of research. This involves comparing the pieces of information that have been collected and arranging them in an order which helps to explain the questions that were originally set. 4. Reporting. In this stage the results are communicated to others. It provides a good opportunity to make sure that the meanings of scientific words are understood, to examine the children’s written or drawing skills and if they are making a presentation their speaking skills. The five lines of enquiry are features of the 2014 science curriculum in the England. There is another line of enquiry in other curricula which involves the use of models. Modeling is used by scientists to investigate structures and processes which are too difficult to access. They are built up from observations of a structure or event or both and can be used to predict future observations. For example observations on the planets provides data which can be used to make a model such as an orrery and this can be used to predict future movements of the planets. Observations on the action of meteors an on the surface of the moon can be used to make a model of how impact crater are formed by dropping small pebbles into flour. Using a combination of lines of enquiry. Several lines of enquiry can be used in one scientific investigation. For example – A number of different soils could be grouped according to whether they were clay soils or sandy soils (identifying and classifying) They could then be compared to see how they drain a certain amount of water (fair testing) The results may show that the sandier the soil the more quickly it drains the water (pattern seeking). A science curriculum identifies the signs of scientist in the students which it will foster and develop through making a wide range of scientific enquiries across the subjects of biology, chemistry and physics with the aim of producing scientifically literate citizens. If my books have generated a greater interest in science you might like to visit the following websites which have activities and information for children and students of all ages.